Declaring its independence from the former Yugoslavia in 1991, Republic of Macedonia is famous for its culture and historical heritages linked to Alexander the Great and the birth place of Mother Teresa. It is home to picturesque lakes, snow-capped mountains, beautiful national parks, modern cities, ancient ruins and museums. And of course - the discovery of its best keep secret until now - its wine and local indigenous grape varieties. 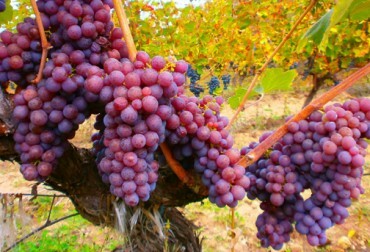 - Macedonia has rich wine tradition. 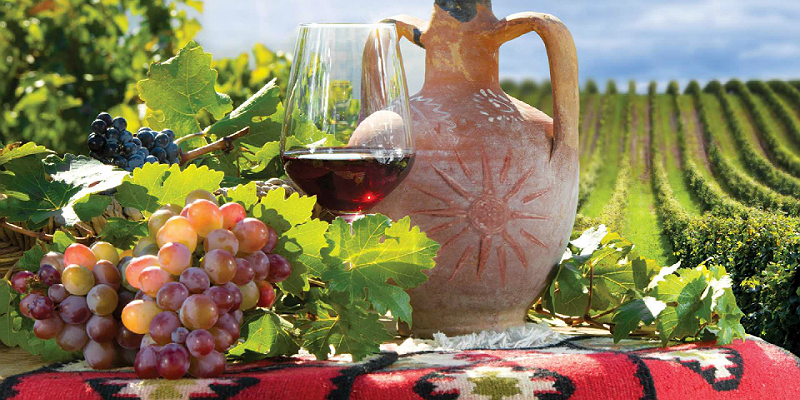 Numerous archeological findings, the oldest ones dating 13 century b.c., have proven the affinity towards growing grapes and producing wine as one of the most important in Macedonian history. - During the time of Philip II and Alexander the Great members of the Macedonian royal family were known as strong consumers of Macedonian wine. They even had special servants just for pouring wine to the King. - This tradition continued during the Roman Empire where Macedonia was one of the most important regions for growing grapes in the Empire. - Also, the significance of the wine was continued at the time of the introduction and the rise of Christianity whereas wine was part of almost all Orthodox Church ceremonies. - History confirms that the wine was important during the rein of Tzar Samuil, in the middle ages and during the Turkish rule of Macedonia. - At the begining of the 20th century there were number of noble families that were producing grape and wine. At that time King Alexandar Karadjordjevic decided to plant vineyards and to build a winery in Demir Kapija, Macedonia. - After the second world war, with the introduction of the socialism the barrels and the equipment for production of wine owned by the different families, small producers of wine, were nationalized. During the socialism 13 large wineries were created in the Republic of Macedonia, few of them starting their operations with the nationalized barrels and equipment from different families. On the other side there were more than 30.000 families that owned small vineyards. They were selling the grape to the 13 large wineries. That was an interesting situation whereas everithing else is state owned and embeded in the socialistic economy while the grapegrowing industry is privatly owned and very vibrant. That resulted in a development of nice healthy vineyards that produced highest quality grapes. - At the end of the 20th century after the seapartion of Republic of Macedonia from Yugoslavia the privatisation proces of the old wineries started. While on the begining of the 21st century number of investors invested in small new wineries all around the country. According to climate characteristics and EU classification, Republic of Macedonia belongs in III-C-b zone for producing wine types of grape, and has adopted the enological regulations for this zone. Other regions of this particular area include Mediterranean France, Corsica, Southern Italy and Spain. It is a region ideal for viticultivation of the best quality RED grapes. Adding sugar is prohibited.